I recently made this small utility as a “proof-of-concept” for some image processing algorithms that I have been working on. 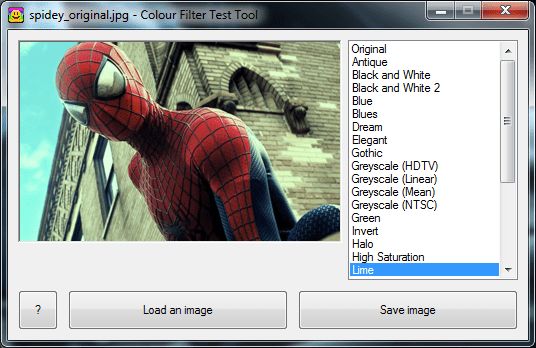 Colour Filter Test Tool can apply various colour filters to photographs and other images. Please note, as it was quickly written to be a “proof-of-concept”, it is not designed to be a complete product and will likely contain bugs, but it may have some use for some people.